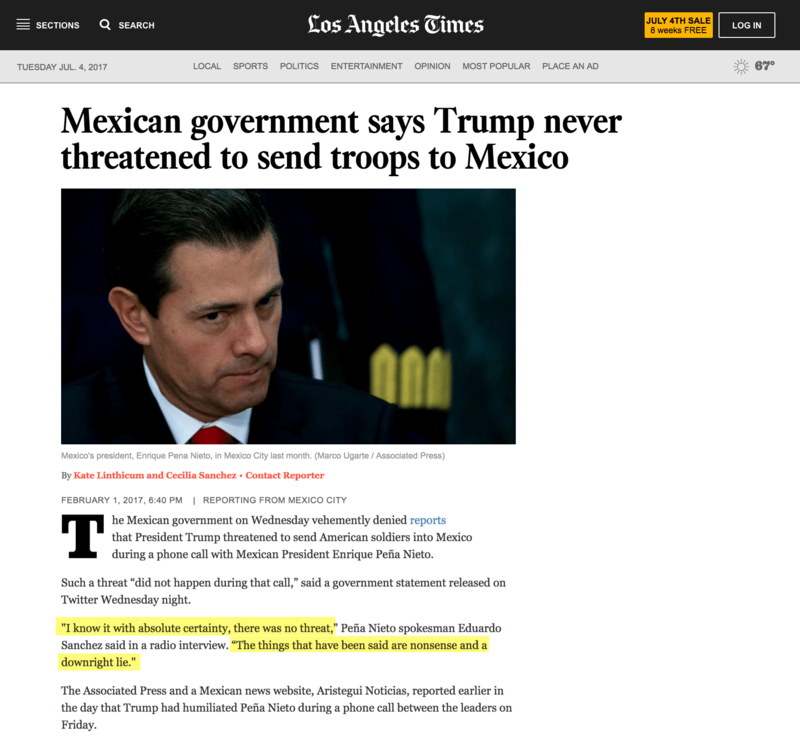 The Claim: Trump threatened to invade Mexico during a phone call with Mexican President Enrique Pena. The Facts: The AP reported that Trump allegedly told Pena the U.S. military would do something about Mexico’s “bad hombre” problem if Mexican authorities couldn’t. CNN then published a report disputing AP’s characterization of the call. The Mexican government stated later that no such thing was said during the phone call between Trump and Pena. The White House claimed the same.